BitConnect price reaches all-time high of over $180 on Oct 12. Will BCC/USD target the $200 major level or correct for lower bracket creating new trading ground. 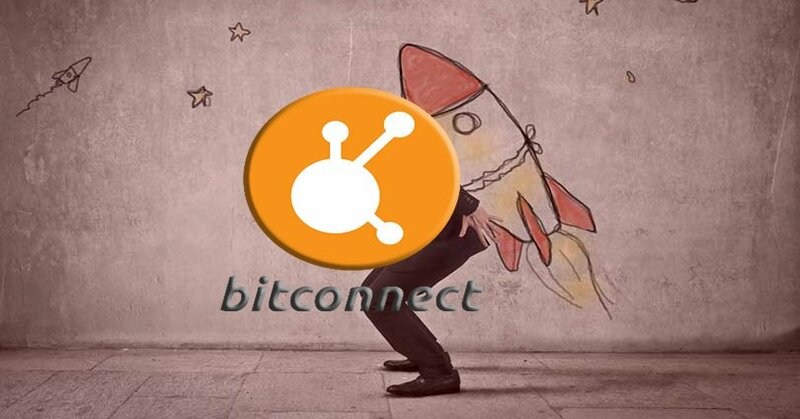 BitConnect price since its launch in January 20 – has been on a non-stop increasing market run with its low trading supply. Today however [Oct 12], the BCC token just experienced a significant jump upwards taking the 10th place by market cap and also reaching the record value of $183.00 – According to coinmarketcap. Its surge is on par with Bitcoins market as it is only leading with 0.14% on the positive area, growing the capital up to $1.287 bln resulting with the 10th place on the largest cryptocurrency list leaving behind IOTA and Ethereum Classic. 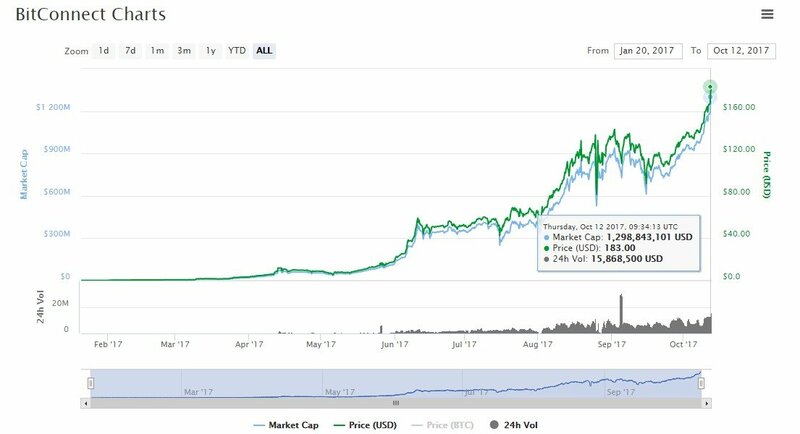 Any trade that is being put on the digital asset should be done with cautious keeping in mind that in the financial industry any price increase will be followed with a correction or ‘punishment’ depending on the sellers tanking downward the value. While we are on that, it is very worth mentioning that in the past in Aug 25, the pair BCC/USD dropped from $134.12 to $56.50 in a matter of minutes and than returned to the same level again while not being able to stabilize for some time. On the very long-term development, the $40.00 mark will be acting as a support if there is a price crash of any sort as it did previously many times. However, for now there could be slight correction but a retest of the $180.00 and followed by the $200.00 could very well take place as the demand is growing and many more want to be part of ‘the skyrocket’. During any lowering phase the major important support will be the $160.00 level and if that is cleared during the down-spiking – then the pair will slide at its lows. Out of the top-ten largest cryptocurrencies by market capitalization, BCC price had the highest increase in the last 24-hours with Bitcoin following right at its tail at 8.40 percent. When it comes to its generated trading volume, the BCC Exchange which pair BCC with BTC is leading at 95.01% of all BCC trading today.